No matter how much you love your 2010 Commodore, there comes a time in a car owner’s life when it’s time to say goodbye. It could be because of high maintenance costs, a need for a bigger car, or the simple fact that your ride is well past its sell-by-date. In those situations, the decision is easy, but what if your car is still running well and looking good? Should you upgrade anyway or just wait until you have no other option? Well, to answer that, let’s take a look at why you might want to upgrade a seemingly perfectly good car. Twenty or thirty years ago, you could drive your car for five or six years, and it would still have roughly the same features as a newer model. Sure the styling might have changed a bit, and perhaps engine performance would have been tweaked, but overall things didn’t change very much. These days, however, with advances in technology coming thick and fast, cars seem to have new features (and pretty significant ones at that) every two or three years. In fact, a brand new mid-range HiLux probably shares quite a few of the features of that five-year-old top of the range model you’re driving now. To put it simply, car tech is progressing at such a fast rate that if you stick with your old car for too long, you’re missing out on those new features that make driving both easier and safer. This is no secret. You already know that as soon as your car leaves the dealership forecourt, you’ve lost maybe a couple of thousand dollars on its value. It’s a fact of car ownership life; cars depreciate pretty quickly. This may not bother you if you plan to drive your car until Doomsday, but if you like to upgrade your car on a regular basis, then you need to pay close attention to its current market value. This is particularly true for the many Australians that finance their new cars and may have a residual payment to make, but we’ll get to that a little later. What you don’t want is to be left with a car that has no significant market value and upgrading your car before it’s too late is clearly the best way to avoid this. Besides fresh cut grass, is there anything as satisfying as that new car smell? Of course, there is, but it doesn’t change the fact that we all love shiny new things. Yes, some of us enjoy the familiarity of a trusty old four-wheeled friend, but most of us get ridiculously excited at the prospect of a new ride. 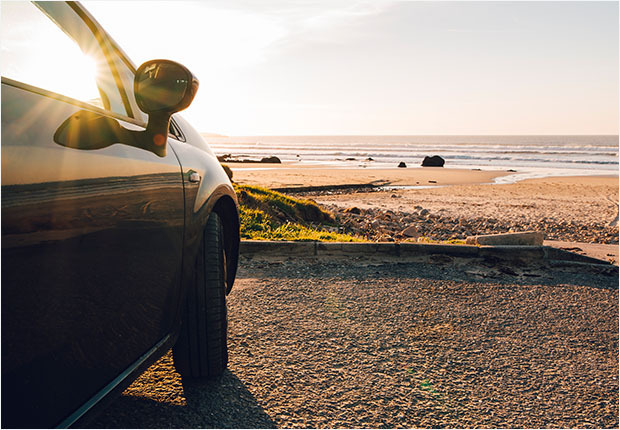 It might not seem like a big deal right now, but trust us, upgrading your car does wonderful things for your everyday life. If you have a car that is in perfect working order, then there are two factors that you should pay attention to when deciding on the perfect moment to upgrade. Cars these days are pretty good, and if you take care of yours properly, then there really should be no need to take advantage of the warranty. However, some people like to have that safety net in place at all times. In this case, they will look to change their car before their coverage expires. Most car manufacturers offer a 3 year or 100,000km warranty while some go as far as 5 years with unlimited kilometres. Kia is the standout manufacturer regarding warranties. They cover their cars for 7 years with unlimited kilometres. You’ll want to change the car while there is still some warranty left on it (about a year is perfect) as this will increase its market value and make it much easier to sell or trade-in. We said earlier that we’d get back to this and with good reason. You see, the vast majority of Australian car buyers use car finance to purchase their new cars. But why should this affect your decision on when to upgrade your car? Surely, you just wait until you’ve paid it all off, right? 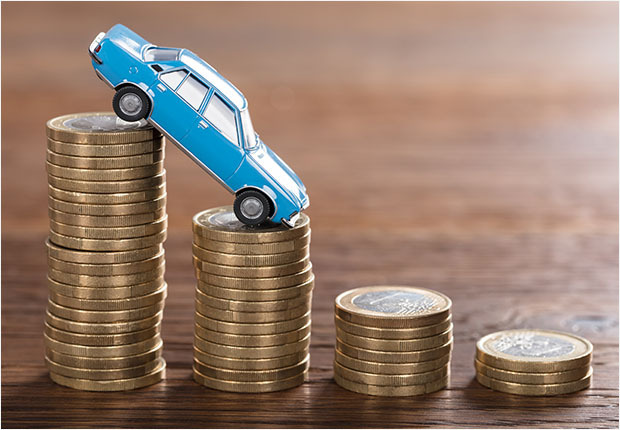 In an ideal world that would be the perfect scenario but we have to remember that your car is depreciating rapidly and you may have a residual payment to make at the end of the term. Now, many people assume that you can’t upgrade your car while you are still making car loan payments on it but this isn’t true. Once you pay off the loan and residual payment in full before the time of the sale, then you’re good to go. Your payout figure (the amount you need to pay off the loan) will vary depending on the terms of your loan but generally speaking; you will need to pay an early termination fee and any money outstanding including the residual payment. The termination fee can vary greatly, and each lender has their own specific process for calculating the money owed on the car, so it’s best to speak with your loan provider before making any decisions. At this point, it’s essential that you get a good idea of how much your car is worth. Check out similar models of the same age on Redbook, or you can even have the dealership take a look at it and give you a rough estimate. Once you know the current value of your car, you can then figure out how much you will have left over to use as a deposit on a newer model. Ideally, you’ll want to have enough money left over from the sale to put down a significant deposit on your new car. However, you will need to have enough to cover the loan payout costs before you sell your car. And this is a sticking point for many. The other and much easier option is to talk to your financier and let them know that you’re thinking of upgrading your car. They deal with these kind of situations every day of the week and can offer advice on your best course of action. They could suggest transferring your current loan balance and residual payment to a credit card or a temporary personal loan that allows you breathing room to sell the car. They could also offer you a refinancing package that allows you to trade in your car for a newer model at the dealership. Understanding and keeping an eye on these figures will give you an idea of the best time to sell or trade-in. But most importantly, keeping your car finance provider in the loop gives you options that you may have been unaware of. Are you thinking about trading in or upgrading your car? Then you know what to do. Get in touch with us here at Stratton, and we’ll figure out the finer details for you. And don’t worry if you’re not a current customer of ours, we can still help you find the right finance package for your new car.